This past weekend I invited my city girlfriends to Pomfret for an autumnal, countryside gathering centered around relaxing and nibbling. 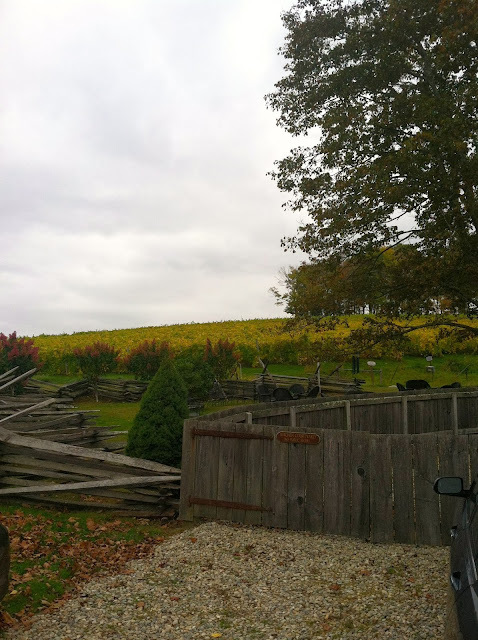 Trading leather jackets for Patagonias, we drove through the vibrant fall foliage to a nearby winery. After a round of tasting robust reds, subtly sweet Rosés, and crisp whites at Sharpe Hill Vineyard, we and our purchases made our way back to my quaint red house for some tapas and, of course, vino. When preparing a tapas spread, I always think back to living in Spain. My go-to menu always started with olives and cheese. With Manchego and aceitunas as a needed focus, I decided to revamp some classic appetizers. For a sophisticated take on a Cheez-it, I adapted Ina Garten’s savory cracker recipe and swapped the Parmigiano Reggiano with my favorite Spanish cheese, Manchego. I paired the crackers with a tapenade that blended capers, Kalamata olives, anchovies, mint and a touch of sweetness with the addition of Mission figs. We spent the early evening catching up while nibbling on course after course of tapas, sipping on our purchased wine and eventually a brew of hot cider spiked with Folly Cove Rum. In a food processor, combine all ingredients until roughly mixed together. 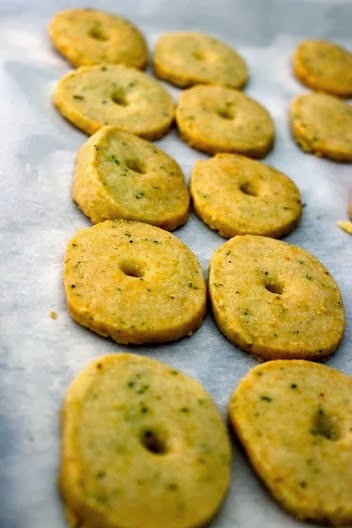 Place into a container, drizzle with more EVOO, and let meld in the refrigerator for at least an hour. Serve with your preferred cracker. Place the butter in a food processor and blend until creamy. Add the Manchego, flour, thyme, salt and pepper and combine until the dough becomes small crumbles. Add the water and pulse to combine until a ball is formed. Pour the dough onto a floured surface and work into a bowl with floured hands. Roll the dough into a log, about a foot long. Wrap the log in plastic wrap and place in the freezer for at least an hour (ideally overnight). When ready to bake the crackers, preheat the oven to 350 degrees Fahrenheit. Cut the log into 1/4-inch thick slices and place on a lined baking sheet. Brush with the melted butter and bake for 25-27 minutes. Makes 22-24. Pleased with the cracker combination of Manchego and thyme, I am already brainstorming flavor complements for the next batch. Roasted garlic and rosemary? Lemon zest, thyme and Asiago? Stay tuned!